We don’t yet know if CW Seed’s animated Vixen will return for Season 3 (or another live-action Arrow appearance), but fans nonetheless have a new opportunity to catch up on her adventures. 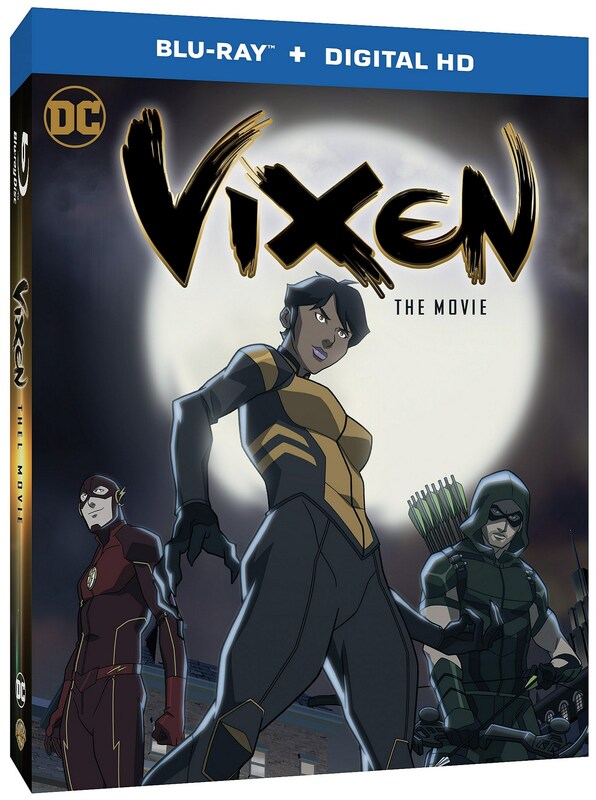 Vixen: The Movie will combine the two animated seasons into a feature-length Blu-ray, with plenty of bonus features. Warner Bros. confirms that Vixen: The Movie will bring Mari McCabe’s animalistic adventures to DVD and Blu-ray on May 23, along with a Digital HD release on May 8. The release combines Seasons 1 and 2 of the CW Seed Arrow-verse drama into one story, featuring 15 minutes of never-before-seen content. As to the special features, Vixen: The Movie will include a “Spirit Animal” featurette on the character, along with two Vixen-centric Justice League Unlimited episodes curated by DC animation guru Bruce Timm himself. The Blu-ray version is expected to retail for $19.98, while the DVD ranks in at $18.94. In addition to Grant Gustin and Arrow star Stephen Amell, Vixen features Franz Drameh and Victor Garber’s Firestorm, Emily Bett Rickards’ Felicity Smoak, Brandon Routh’s Ray Palmer and Katie Cassidy’s Black Canary. We’re also awaiting further updates on DC’s Freedom Fighters: The Ray series, while Vixen’s legacy carries on with Legends of Tomorrow and Maisie Richardson-Sellers as Mari McCabe’s grandmother. In the meantime, both seasons of Vixen are available to stream on CW Seed.